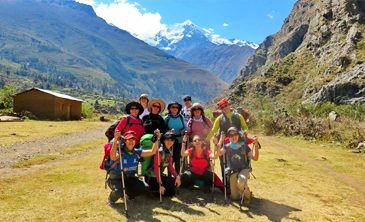 Our trek is a specially designed unique trekking route for the Salkantay trail. 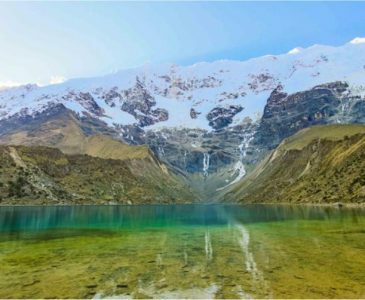 Enjoy majestic glacier mountains, and visit 2 turquoise crystal clear lakes. Relax at your campsite at the foot of Mt. 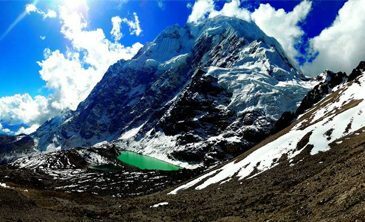 Salkantay off the beaten track. Visit a coffee plantation, pick your own coffee, roast and grind it and brew your own coffee. Soak and relax in natural hot springs and rejuvenate tired sore muscles. On our trek experience incredible views of Machu Picchu from the Llactapata Ruins.